camera (Sherrian Graham) Sherrian Graham Bass and her husband Robert have thrived in the face of adversity. Valentine's Day is all flowers and romance, but those who have faced adversity know real-life love is something much stronger than simple gifts. "Good Morning America" is bringing our audience the stories of three couples who have not only survived, but thrived despite challenges over the years. 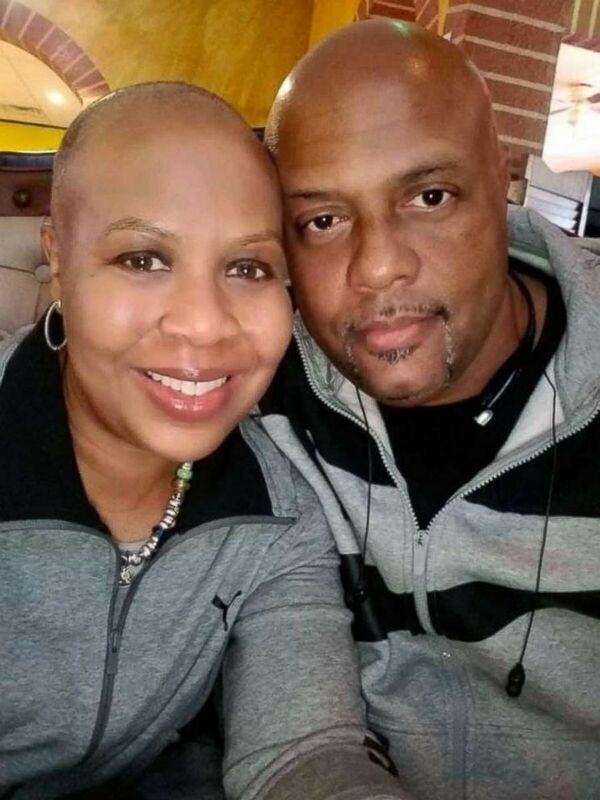 Sherrian Graham Bass and her husband Robert Bass: cancer, a postponed wedding and "spending every waking moment with him by my side" -- as told to "Good Morning America." (Sherrian Graham) Sherrian Graham Bass and her husband Robert have thrived in the face of adversity. 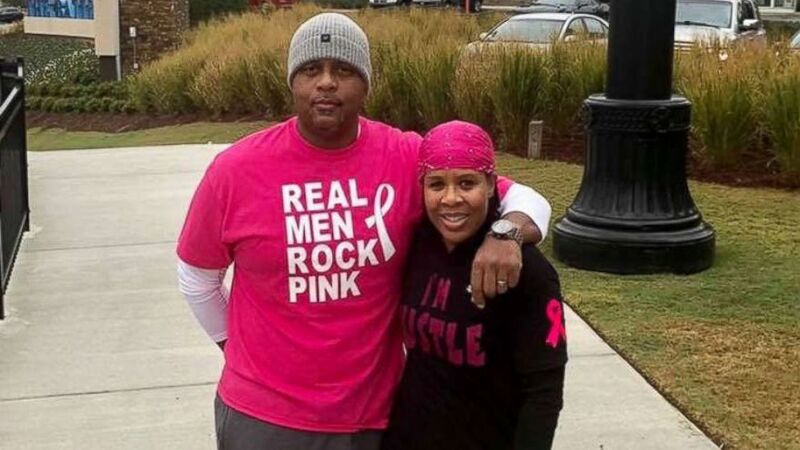 Sherrian Graham Bass and her husband Robert Bass met when their kids were basketball teammates. "We would see each other at games and practices," said Graham Bass. “We eventually became good friends.” A few years later, they were both single and began dating. "We fell in love," she said. In December, 2017, they became engaged. While planning her wedding, Robert discovered a lump on her breast and encouraged her to get a mammogram. After her diagnosis, Sherrian had a difficult time coping. Robert was extremely supportive. He adjusted his work schedule to take her to Chemo sessions. "When I began losing my hair, he encouraged me to shave it all off," said Graham Bass. After her double mastectomy, 16 weeks of Chemo with eight sessions bi-weekly, their love grew even stronger. 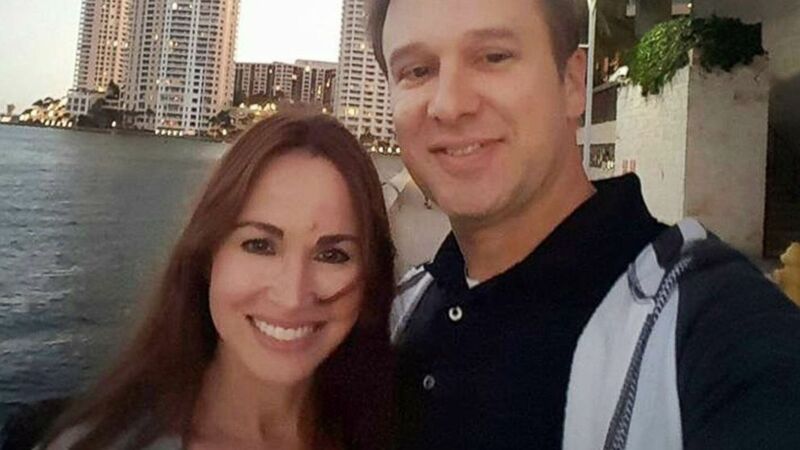 With the chemo sessions, Graham Bass couldn't keep up with the planning of their wedding, which was scheduled for 02, 01, 2019. The couple decided to get married at the courthouse on 10-20-2017. This date was significant to the couple because its the original wedding date backwards. "Through all of this, I couldn't have asked for a better man," Graham Bass said. “I look forward to spending every waking moment with him by my side,” she said. Courtney and Matt Baker: Two unexpected diagnosis, fostering and job loss the "most poignant and beautiful" of their lives. As told by Courtney Baker. (Courtesy Courtney Baker) Courtney and Matt Baker have been married for 21 years despite some bumps in the road. "I met a boy out line-dancing with our church group one night, nearly 24 years ago. Our love story began when we just kids and he was everything I hoped for – kind and smart and he made me laugh. After dating for only two weeks, we began planning our lives together. Marriage was easy. We enjoyed being together and never needed anything more than us. We lived simple and dreamed big. After 2 ½ years, we had our precious daughter, Rhyan. She was another cord to bond our little family. At 11 months old, Rhyan was diagnosed as profoundly deaf. Five months later, Matt was laid off work. Three months later, Rhyan had her first cochlear implant surgery. Six months later, Matt was laid off again. The struggles and heartache and fear of those 18 months were a firm foundation of what would come. In the years following, Matt and I grew our family with another daughter, Evynn. We decided as a family to begin fostering children and loved five foster children fiercely. Every good-bye was a heartbreak, and when we felt like we would never heal, we discovered we were pregnant with our third child. At about 11 weeks, our child, another daughter, was diagnosed with Trisomy 21. Down syndrome. (Courtesy Courtney Baker) Courtney and Matt Baker are pictured with their children Rhyan, Evynn and Emersyn. The weeks and months following her diagnosis were filled with grief, hopelessness, and devastation. We were tested, not only as a couple, but as individuals. We had to rely on our own personal, separate relationships with God to grow stronger together. We look back now on those times as the most poignant and beautiful of our 21 years together as husband and wife. We learned how to lean on each other and face an uncertain future. Our third daughter, Emersyn, came into our world and solidified that God hears and God sees. She has been the greatest blessing to our family because she has given us a greater purpose to advocate and protect those without a voice. Our love story began with prayer and was fortified through prayer and is lived out every day in prayer. And God has answered every one, all starting when I met a boy out line-dancing." Lauren and Aaron Ochalek: Deployment, cancer and loss but they "count their blessings every single day." As told by Lauren Ochalek. 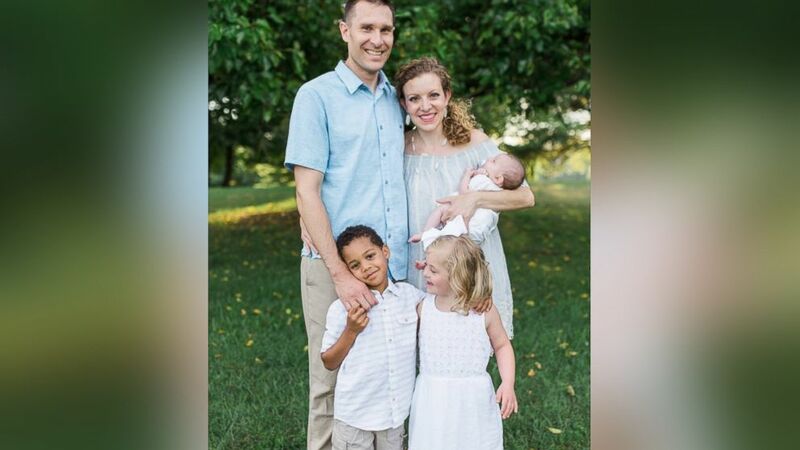 (Diana White) Lauren Ochalek and her husband Aaron are pictured with their children. "We met in August of 2004, a week after I finished treatment for sinonasal cancer. Aaron was leaving for flight school after graduating from the Naval Academy and I was in nursing school, so we began dating long distance. We were married in August of 2008 and, that same year, endured our first deployment, with a subsequent second deployment in 2009. During that time, we also began trying to start a family. After several early miscarriages, we decided that it was time to seek medical help. None of these appointments or interventions, however, could take place until Aaron returned from Afghanistan. We endured a third deployment in 2010. Four months after his homecoming, we entered into our first IVF cycle, which failed, as did our second attempt. As we were closing out our file with our fertility specialist, we were presented with a unique option that previously we had no knowledge of. Two donor embryos were offered to us anonymously and, after prayerfully considering this option, we decided to transfer both. In May of 2011, we received the news that we had been anxiously awaiting for so long – we were finally pregnant - and, in 2012, we welcomed our daughter, Ellie, into the world. In the spring of 2013, we decided that it was time to expand upon our family yet again, only this time we wanted to add to our family through adoption. In October of 2013, we were crushed when we had to take a step back upon learning that Aaron had testicular cancer. Surgery and chemotherapy were necessary before proceeding with our adoption journey. In December 2013, we were matched with an expectant mother who was expecting baby girl. We were elated as we began preparing our home and hearts for this baby girl. The last week of January, this baby girl was born and we added Anneliese to our family. We brought her home from the hospital at a day old and, for six amazing days, loved her as though she was our own, for during that time she was. When she was seven days old, however, her birthmother reneged on her decision to place with us and our social worker came to pick up this precious baby girl to return her to her mother. Two months later, the phone rang and our social worker informed us that our profile had been chosen again, only this time, a baby was already born and was 14-months old. Just a few days later, we found ourselves in Richmond, VA meeting an incredible birthmother and our son, Cameron. Cameron came home to us that following week and it’s at that point that we began life as a family of four. In 2014, we decided to leave active duty and Aaron transitioned to life as a Navy Reservist and airline pilot. In 2016, we got the “itch” and decided to add “just one more” baby to our family. We decided, despite our struggles the last go-round, to journey through the adoption process again. Several months later, we were reunited with an old friend from our former church in Virginia Beach and, in early May of 2017, our daughter, Amelia, was born. 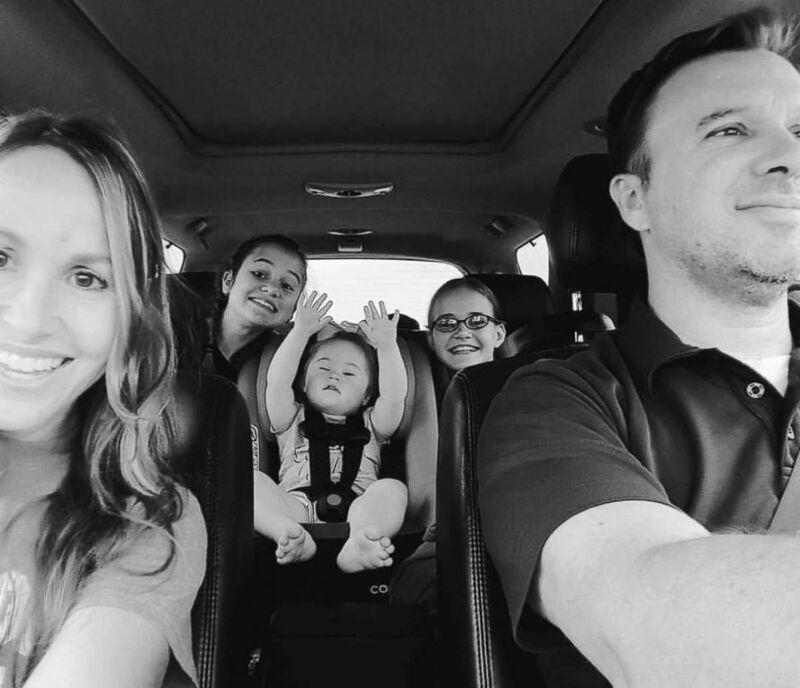 After Amelia’s birth, life rolled on as we celebrated ten years of marriage this past August. Life finally felt settled, that is until October of 2018 when I was, yet again, diagnosed with cancer. After a series of tests for a separate, unrelated medical issue, it was discovered that I had thyroid cancer. A thyroidectomy and some additional scans and medications later, and I can finally say that I’m now on the other side of things – cancer-free again. Through it all, Aaron has been my rock and I have been his. None of what we’ve experienced as a couple has ever been easy, but it’s always been worth it – every last bit of it. Our love has endured through so much and we’re fortunate to have walked every step of this journey alongside one another. I can’t imagine having gone through any of what we’ve experienced with anybody but Aaron by my side. We’re the luckiest and count our blessings every, single day."